There are many characteristics of a Future Ready Educator that are essential to teaching the future unknown professionals, that are globally competitive, and empowered innovators. There are just as many characteristics of a 21st century school that ensures the success of that educator. 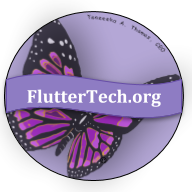 Let Flutter Tech help build your capacity and support your growth to become a Future Ready Educator, school, and district. After all, the quality of education is based on the quality of the educator.